Follow in the shoe giant's footsteps to find creative and engaging experiential marketing. Shoe obsession is at an all-time high, and in-the-know brands are attracting “Sneakerheads” by offering more than just great shoes and a revered brand. They’re offering experiences. The Nike Headquarters in Beaverton, Oregon (a suburb of Portland) is well aware that they’re selling a brand and that those who buy Nike gear are after an experience. They’re not buying a pair of shoes—they’re buying the bucket list dream of finishing their first marathon. However, drive by the Nike headquarters and it looks part palace and part high-security very secret government agency. The grounds are flawless (not that it’s tough to make Oregon landscaping green), and there are Nike trails flowing away from the sprawling campus. The trails are idyllic for runs with cushy wood chips and artfully designed shrubbery. But watch out. Security is constantly patrolling the trails, and will quickly kick out anyone without Nike identification. It’s tough to get into Nike headquarter. Getting access to the Nike Employee Store nearby is like getting a pony for Christmas. People genuinely flip out about it, even though the actual discounts are pretty on par with the Nike discount store in Northeast Portland. 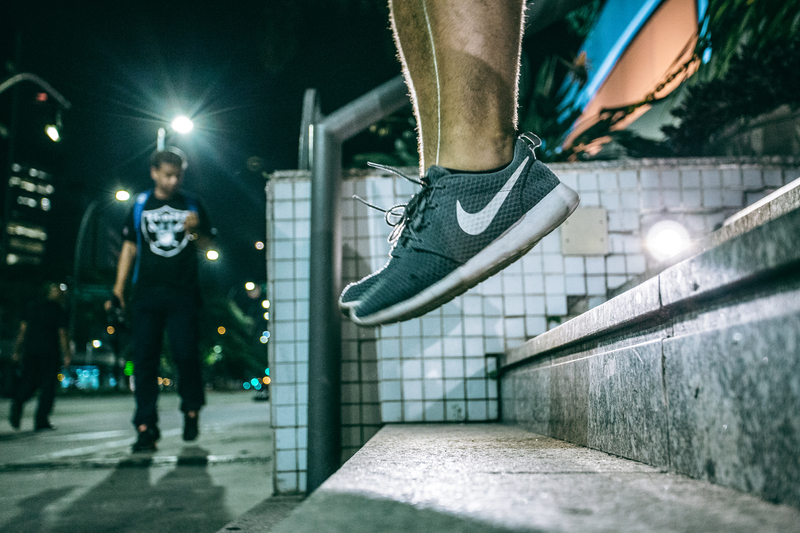 Nike has built a serious brand, and they know how to handle experiential marketing. By limiting access to the headquarters for tours as well as the Nike Employee Store (both of which are major experiences in themselves for Nike fans), they’re created a sense of prestige around their brand and product. Nike was also one of the first major shoe brands to offer customization. You could, of course, customize online but the bigger “experience” was heading to Niketown in downtown Portland. The oddly boutique venue is where you can work one-on-one with a Nike design expert to create a shoe just for you. Nike is really selling the experience, not the shoe. (Adidas will soon be following suit, especially with their shoe-making robot soon making an appearance in Atlanta). On World Skateboarding Day 2014 in Los Angeles, Nike revealed their Paul Rodriguez 8 skate shoe. Onlookers were invited to try the shoe out at the legendary skate park in downtown. Nike managed to get parts of the street closed to traffic. It’s no surprise that skate fans were absolutely pumped. Nike also got to re-work its image - Nike isn’t exactly known as a skate shoe, but it definitely made a name for itself in the category. Closer to the brand’s Basketball roots, Nike’s Hyperdunk Day in London was also a smashing success. With a little “help” from some aerial lifts (and the new Hyperdunk shoes), locals were encouraged to compete for a slam dunk. It garnered massive attention, as you can see in the YouTube video. Nike struck again at The Open at Moynihan, setting up a table tennis area like no other during the US Open at Flushing Meadows. The massive tennis court was posh and futuristic. It drew crowds like mad and tapped into current local sports events that already had fans riled up. On a massive scale, Nike also offers running clubs at many locations where they have stores—what better “experience” than letting potential customers meet at your store and run with a group (for free), then returning with the promise of special discounts and early entry for new products?